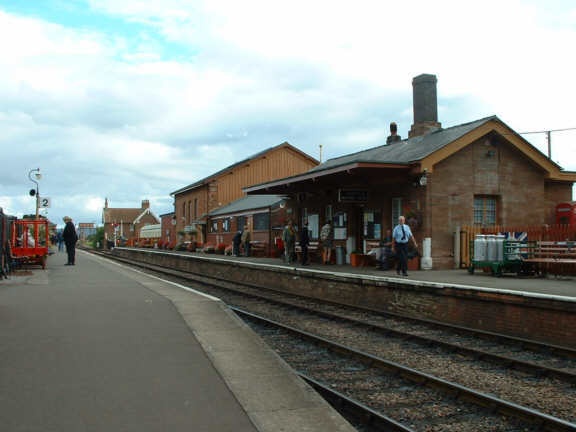 Bishops Lydeard station is the southern terminal of the WSR, the line continues to a junction with the mainline at Norton Fitzwarren. This general view is taken from the downside (Platform 1). A new addition to the buildings on platform 2, the new catering store has been very well matched with the existing buildings. 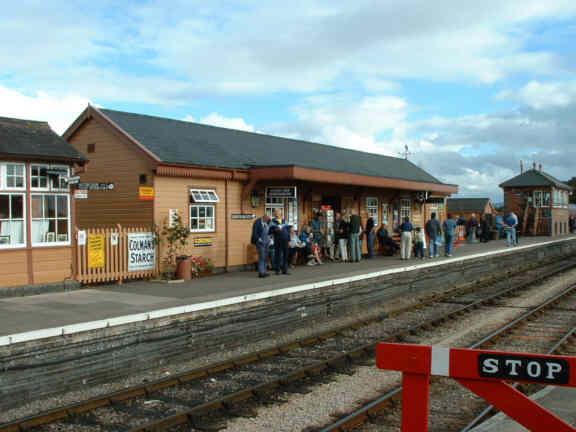 A closer view of the main shop and buffet building on platform 2. 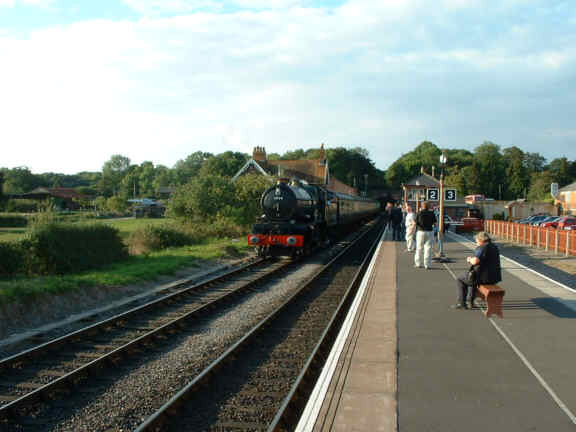 Bishops Lydeard is the headquarters of the West Somerset Railway Association, the shop is run by them. Their office is on the downside in the former booking office. 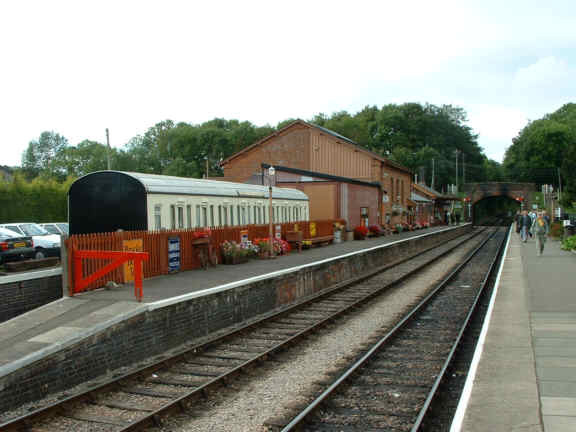 The old booking office is nearest the camera in this view of the upside - the current booking office is on the upside. 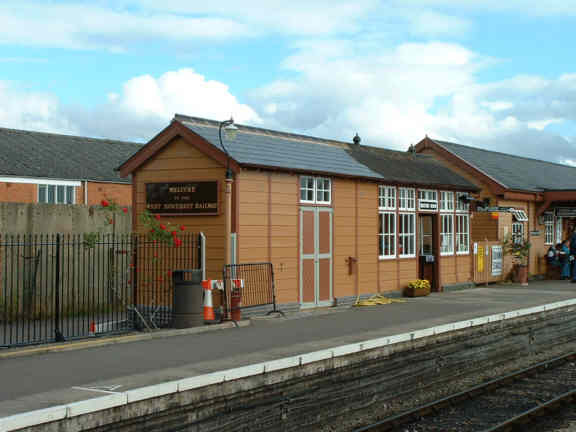 At the opposite end of the downside is an ex GWR coach now used for accommodation for volunteers, behind that is the old goods shed which now houses a museum and model railway. 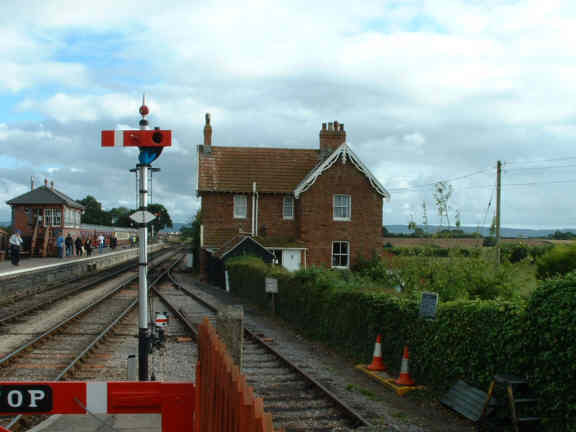 At the end of the down platform is the former station masters house, I hope whoever lives there now likes trains! 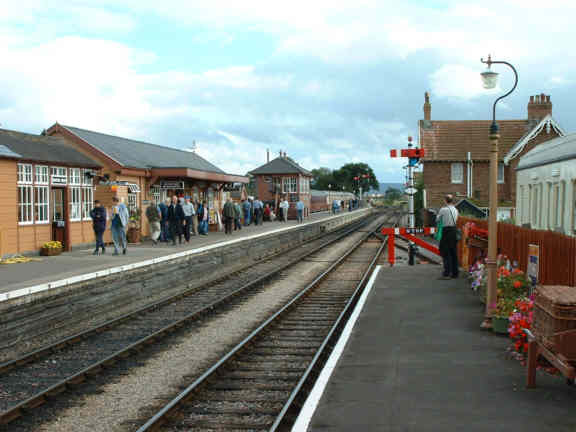 A view looking north from the Taunton end of the up platform, showing the rural setting of the station. Visit our Travel Centre for train and ferry times and tickets.